In the few months since we finished “Do You Trust this Computer?,” it’s clear that our story isn’t going away. Having made several films about the potential of smart technology to improve the future, I wanted this film to explore the shadow side of tech and the risks of artificial intelligence that the late Stephen Hawking referred to as “existential” in nature. What are these risks? Who is managing them? And as they say in the movies, what could possibly go wrong? I hope we inspire people to keep technological tools working on behalf of the greater good and stay aware of what’s happening in the meantime. Machines continue to conquer complex human strategy games; potentially an early harbinger of their dominance. Deep learning and reinforcement learning techniques have recently helped computers succeed in highly strategic multiplayer games, like Quake III Arena and Dota 2. Prior AI success against humans in an array of games like Go, Jeopardy!, and even games like poker which involve bluffing are victories once thought beyond their capabilities. IBM Watson developer David Ferrucci takes this a step further: "I think that in three to five years, you will see a computer system that will be able to autonomously learn how to understand, how to build understanding." Some argue that AI could create more jobs than it overtakes. However, most reports assert that a broad range of both blue- and white-collar jobs are under serious threat. An ever-increasing number of companies are funding technology capable of replacing the existing human workforce for a simple reason: it’s more cost effective. The automation of the economy is coming fast, and machine intelligence is at the heart of it. As Andrew Ng posited, "If someone is planning for a 40-year career in radiology just reading images, I think that could be a challenge to the new graduates of today." Of course, our film’s biggest concern is the existential threat posed by autonomous weapons. The new AI arms race forecast by experts like Stuart Russell, Peter Singer, Sean Gourley, and many others in our film looks more inevitable then ever as countries double down on core technology development and specific weapons programs. AI may give any one nation a temporary edge, but as Dr. Russell comments in our film, "Autonomous weapons are by their nature weapons of mass destruction, because it doesn’t need a human being to guide it or carry it. You only need one person to… write a little program…"
Awareness and outcry, however, is making a real difference. Facebook faces more scrutiny than ever, and Google employees helped shut down future participation on the “Maven,” an AI-based Pentagon targeting drone project. California approved a data-privacy bill in spite of pressure from extremely well-financed tech companies. In a direct nod to the Future of Life Institute featured in our film, 160 AI companies and 2400 individuals from 90 countries signed the “no killer robots” letter, pledging not to manufacture, trade, or use lethal autonomous weapons. Whether we can curate the beneficial and curb harmful AI remains to be seen. Our goal with “Do You Trust this Computer?" is to weave together a story from the past, present, and future about one of the oldest truths of humans and technology: that with our greatest advances come the greatest risks. 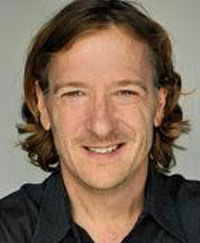 Chris Paine is a writer & director best known for his award-winning documentaries "Who Killed the Electric Car?" (2006), and its sequel “Revenge of the Electric Car" (2011). His films as executive producer include "Bikes vs Cars" (2015), “Charge" (2011), "Faster” (2003), and “No Maps for These Territories” (2001) about futurist William Gibson. Paine serves on the board of directors for Friends of the Earth and is an alumni of Impro Theater. Chris was raised in Silicon Valley, studied in New York, and lives in Los Angeles. Mark Monroe is an award-winning documentary filmmaker whose career in storytelling spans two decades. 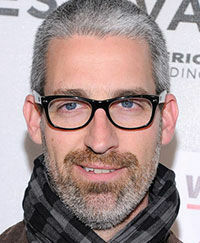 His extensive writing and producing credits include films at Sundance every year for the last decade. His writing credits include BAFTA and DGA nominated Icarus (2017 Academy Award winner for Best Documentary Feature); The Cove (2009 Academy Award winner for Best Documentary Feature); Leonardo DiCaprio’s Before The Flood; Steven Spielberg’s Finding Oscar; Grammy and BAFTA nominated The Beatles: Eight Days A Week; and the upcoming Ron Howard documentary film on Luciano Pavarotti. A journalism graduate from the University of Oklahoma, Monroe began his career as a writer for CNN in Atlanta. Before writing theatrical documentaries, he produced more than 200 hours of biography-style television. Paul Crowder is a former UK musician turned movie editor/director with a unique voice. Following the critical success of Stacy Peralta’s documentary Dogtown and Z Boys (Audience Favorite and Best Director at Sundance 2001, and Best Documentary at the 2002 Independent Spirit Awards), Crowder edited Peralta’s Riding Giants, garnering the 2004 A.C.E. Eddie for Best Edited Documentary. He made his directorial debut with Once in a Lifetime: The Extraordinary Story of the New York Cosmos (written by Mark Monroe), and co-directed and edited the Grammy nominated Amazing Journey Story of the WHO. He directed & edited the acclaimed films Last Play at Shea (2009) and 1: Life On The Limit (2013). He also edited Rock and Roll Hall of Famer Dave Grohl’s directorial debut Sound City. Most recently he completed Ron Howard’s Eight Days A Week as editor and executive producer, and is currently an executive producer and editor of Ron Howard’s latest documentary on Luciano Pavarotti.